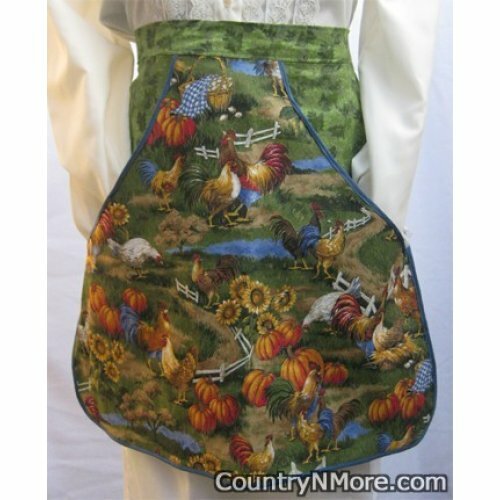 This gorgeous farm scenic fabric is perfect for wearing at the country home or country theme home. The apron depicts chickens, roosters, pumpkins,and sunflowers. Use it for holding clothespins or carrying eggs, or in your kitchen.